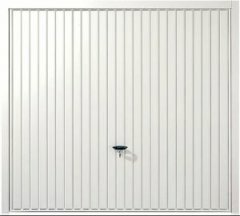 German engineered steel door available in a range of sizes/colours. See Specification below for full details. The steel doors that we sell are constructed using premium grade galvanised steel making them both secure and corrosion resistant. We have the largest range of finishes available for these doors including powder coated solid colours (we can also quote for any specific RAL colour upon request), plastisol and laminated wood effect finishes. The doors are manufactured in Britain and have unique deep pressed panels giving a high level of panel detail. Fully finished white and coloured doors come with a 10 year manufactures guarantee on the finish.